What is Edge Plus ? 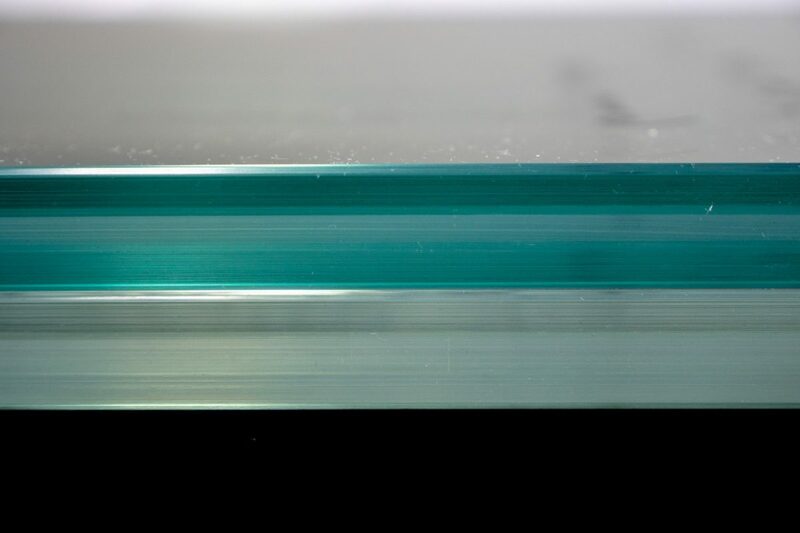 Edge Plus is an additional process that is taken when laminating custom toughened glass to ensure a glass like finish to the laminate material. 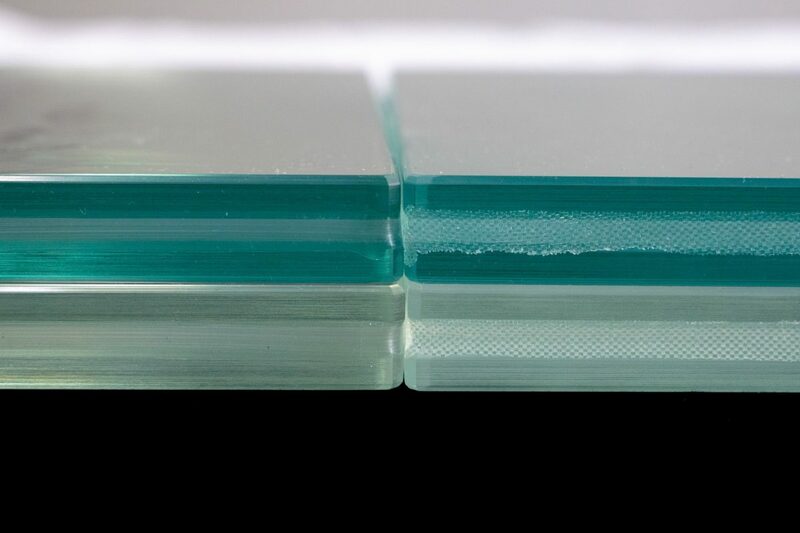 This process can be done to either PVB or SGP laminates and makes a massive aesthetic difference to the overall look of the laminated glass. The process we use is time consuming and reduces our daily capacity, so a small charge is added per linear metre (LM) of the laminated panel. 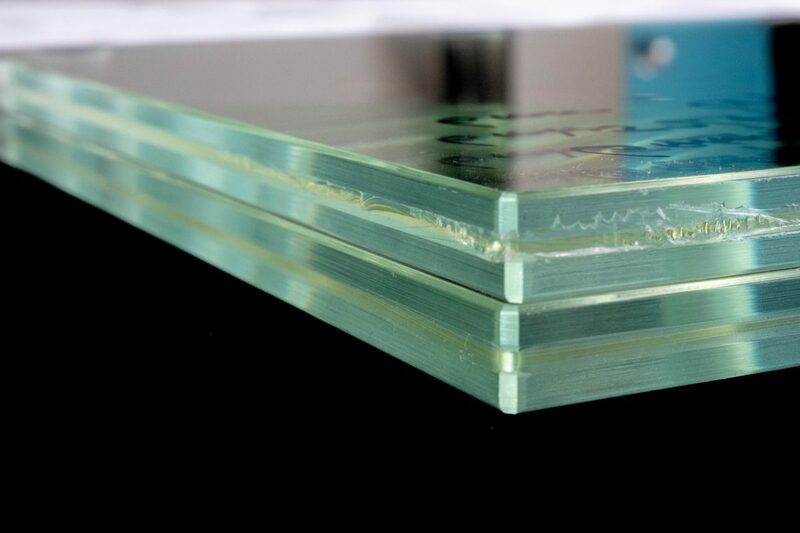 Edge Plus makes FGS Glass Laminated panels look markedly different to our competition. 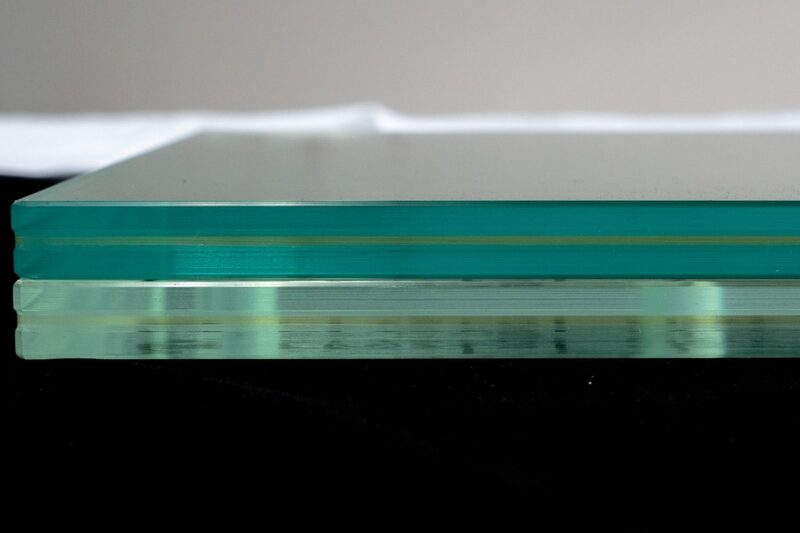 What makes FGS Glass Laminated panels different? 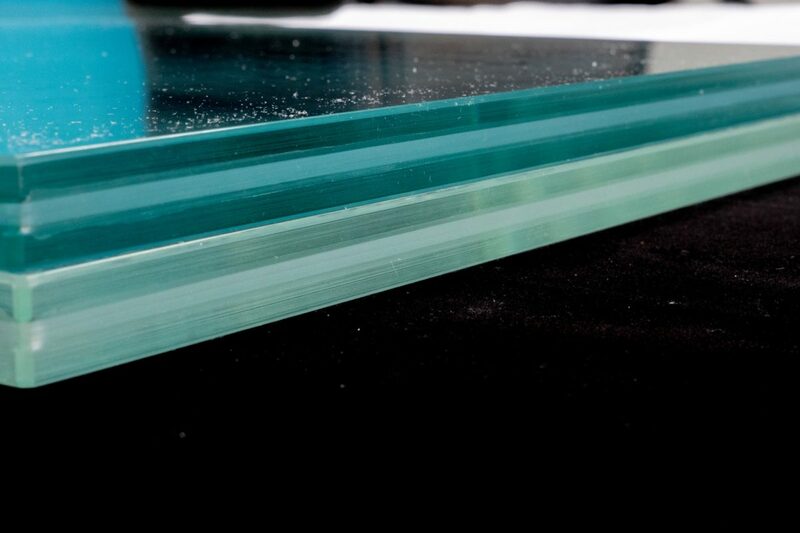 ALL matching glass panels are processed on the same CNC. 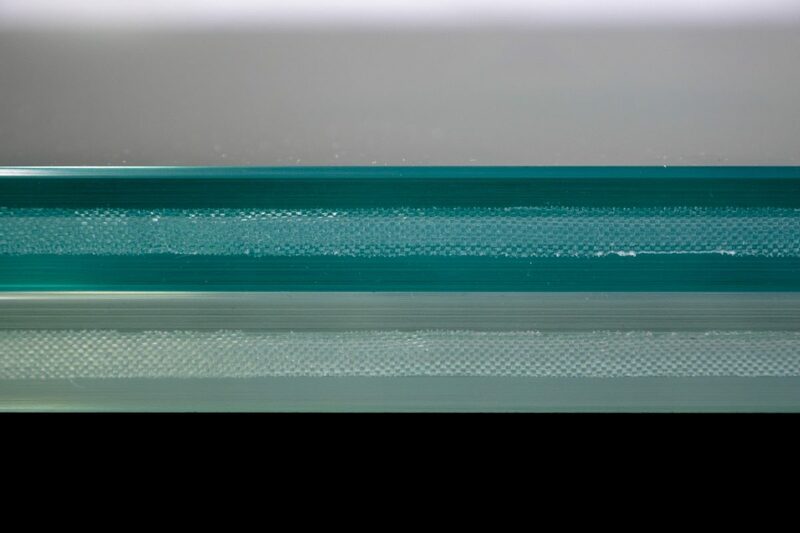 Not all CNC’s are the same and using different machines can result in small differences between matching pieces of glass, that can result in steps. 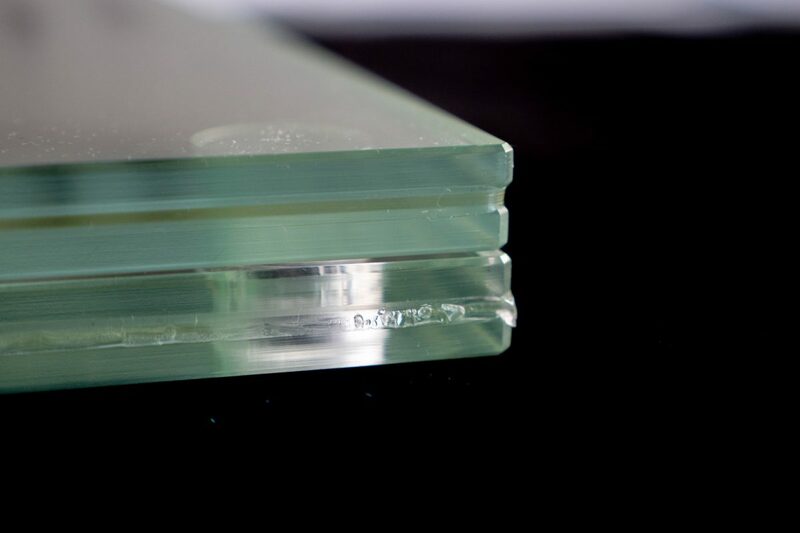 FGS Glass offer a Standard Edge finish, which in most cases is superior to the best edgework our competitors offer. The steps and processes we follow are closely guarded. 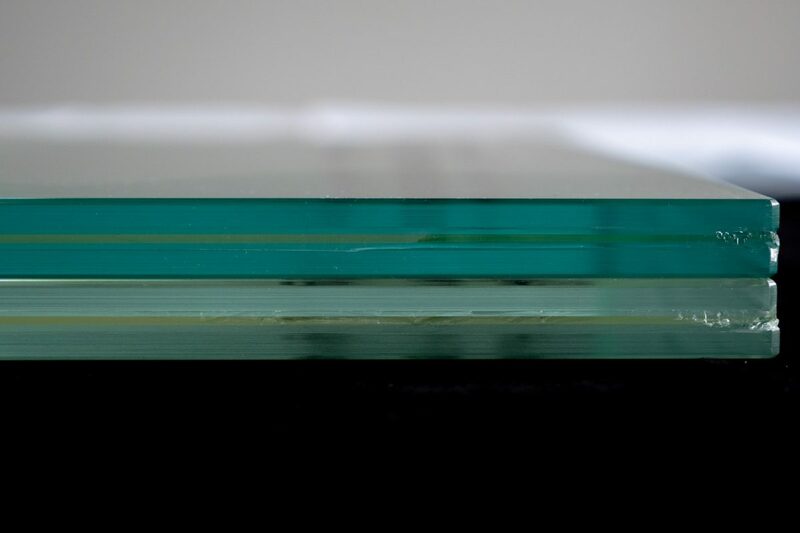 FGS Glass also offer the Edge Plus finish, using additional steps to ensure the best quality edge finish in the Country. This recipe is as closely guarded as the Colonels 11 Herbs and Spices were, for so many years. 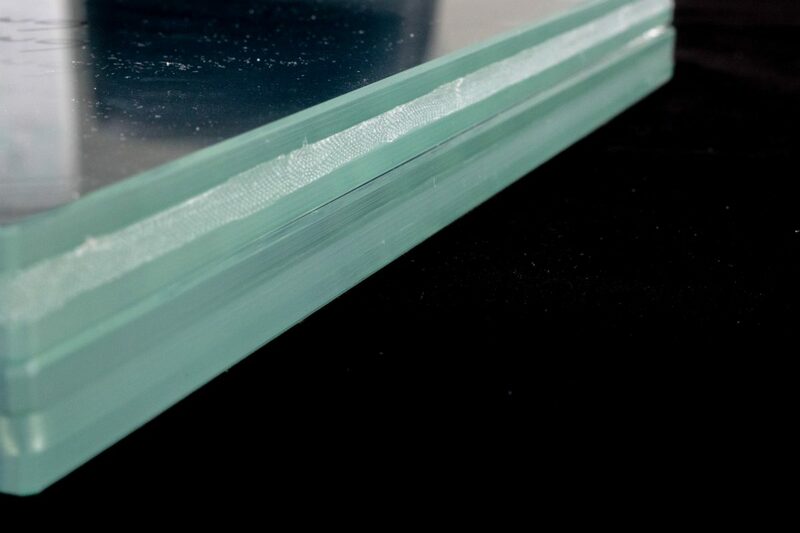 The SGP Standard Edge has beautifully flush glass and the SGP has a frosted cross hatch appearance. This finish is pleasing but is best used in applications that cover the edge work or where the edge work cannot be seen. 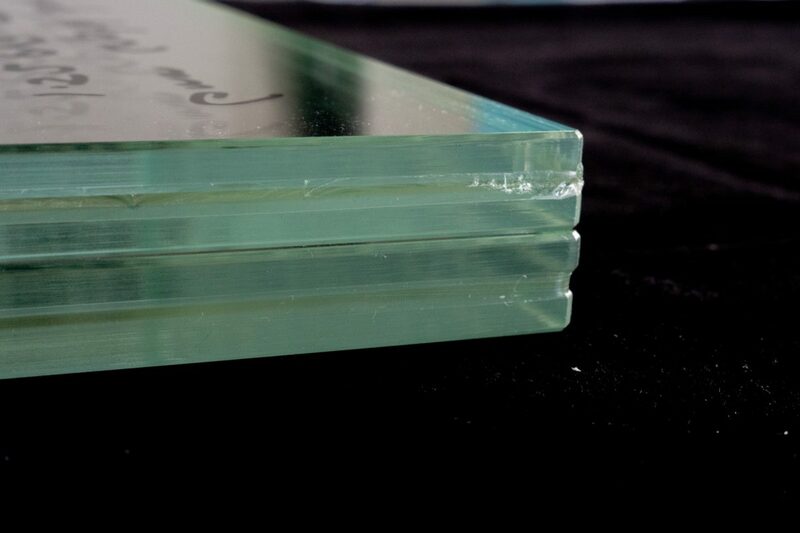 The SGP EDGE+ finish makes the laminated glass look like one piece, instead of 2 pieces of glass and 2 pieces of SGP. It gives a flush, glass like appearance to the edge. This finish is extremely aesthetically pleasing and can be used in all applications where the edgework can be viewed. 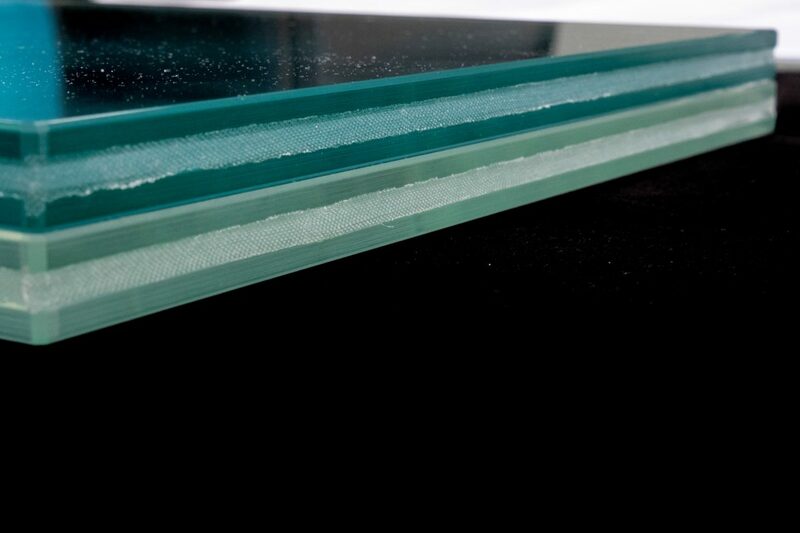 This finish is ‘The Rolls Royce’ of Laminated Glass. 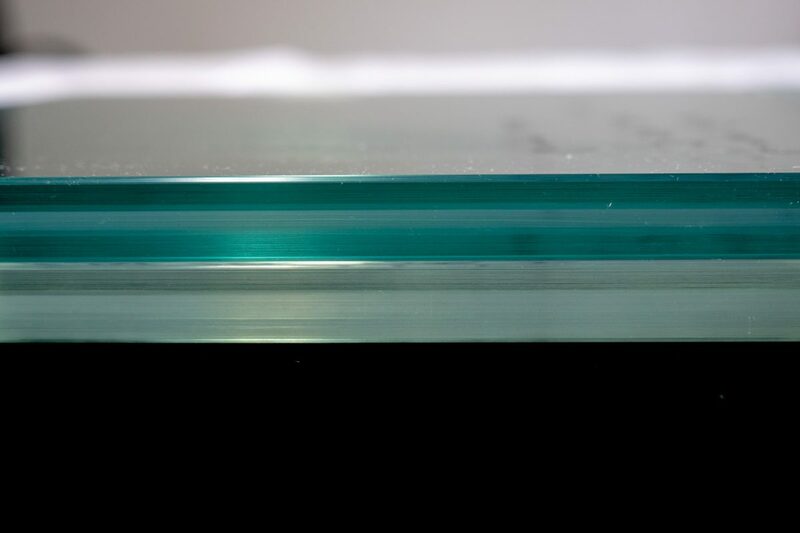 The PVB Standard Edge has beautifully flush glass and the PVB finish is generally glass like but in corners and near holes it can be a little uneven as the PVB squeezes out and has to be trimmed when cool. 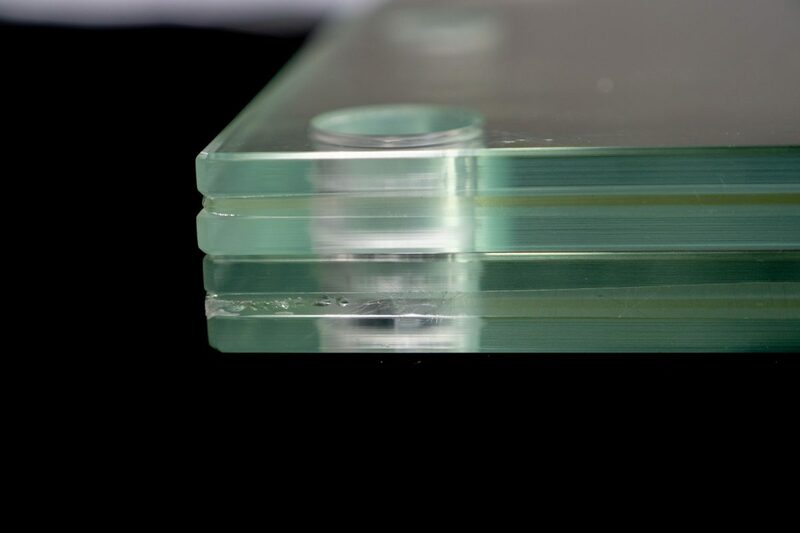 It can also show slight aeration on the edge of the glass near holes. 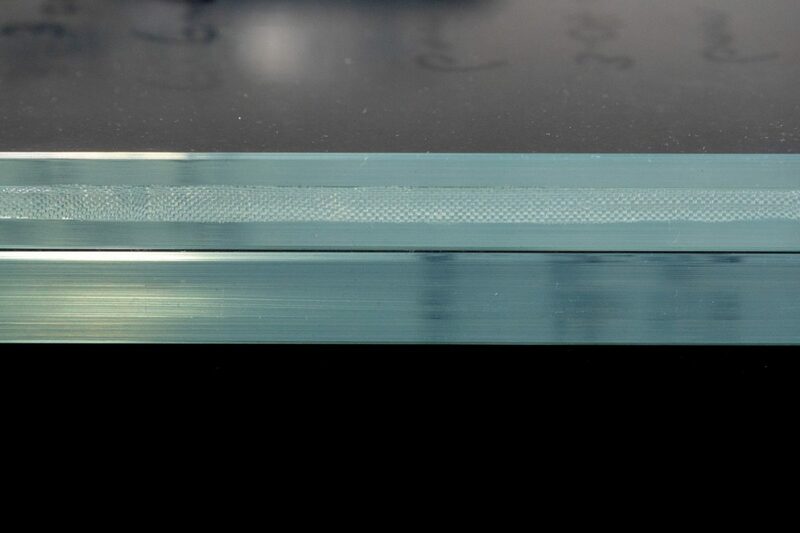 Typically this edge finish is great for the vast majority of applications, especially when the edge isn’t in view. This finish is typically much better than our competitions, in most cases this finish is more than acceptable and you will not need EDGE+. We cut up this sample piece of VueSafe 15.04 SGP Edge+ with a water jet. 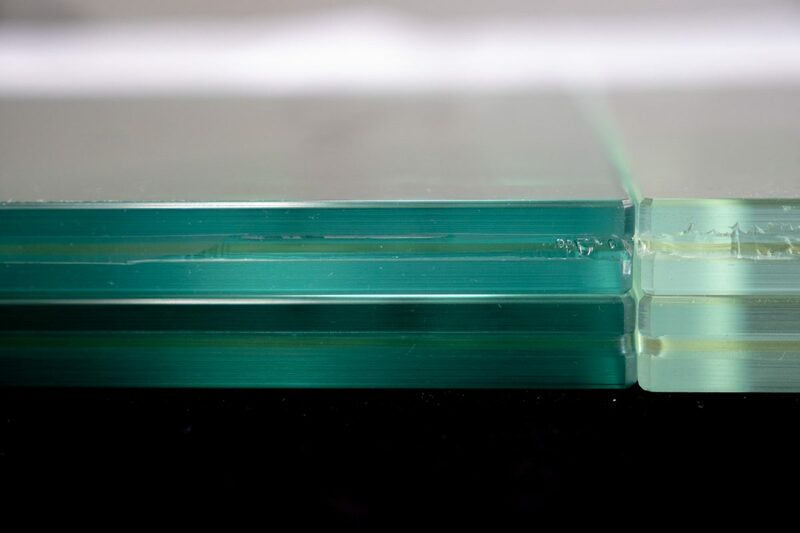 Take a look at the edge alignment on both pieces of glass! No slippage, no steps, just perfectly aligned. Also look the the Edge+ SGP, its not convex, its not concave, its perfectly flat. Non of our competitors would be willing to do this test and put the glass under a microscope. 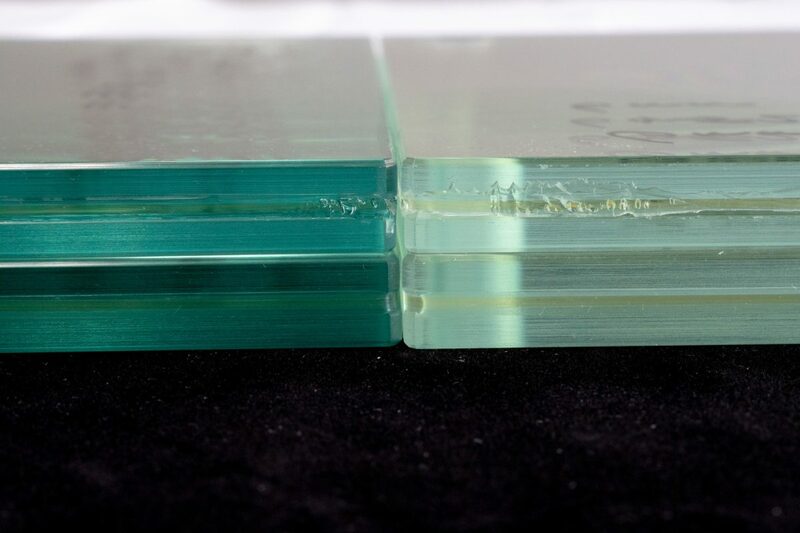 This is why you need to ask for Edge+ on your next Custom Toughened Laminated panel.